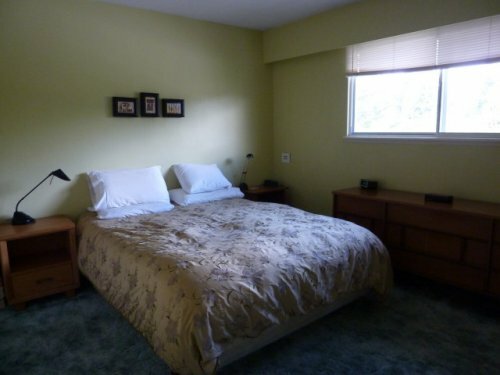 Our family home has 2 bedrooms, 1 bathroom, lounge, dining area & kitchen with all appliances and utensils. 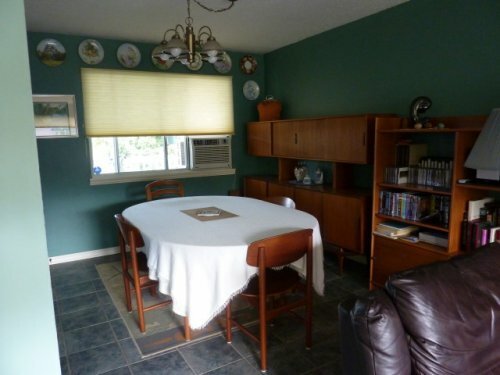 There is an air conditioner in the dining area. 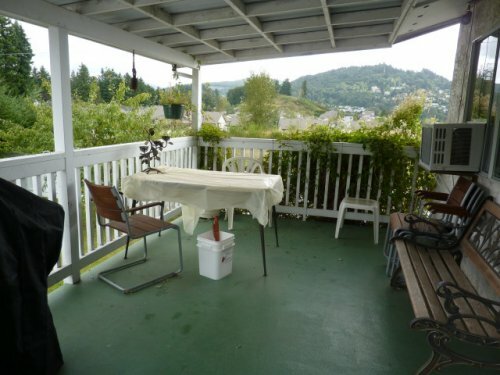 The kitchen exits to the back covered deck with 5 burner gas barbeque and patio furniture. 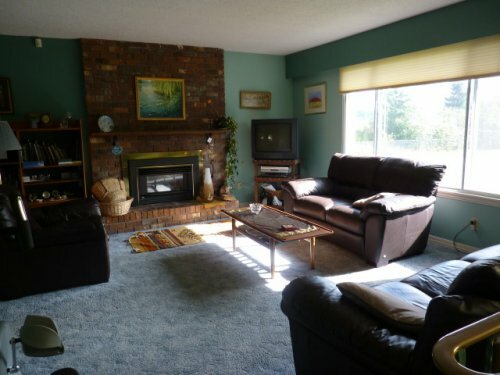 The house is centrally heated and there is a gas fireplace in the lounge. Downstairs is an office with high speed WiFi hub and printer for your computer. The laundry with washer, dryer and tub and garage and freezer are also downstairs. The house has a security alarm and the large back yard is fenced. 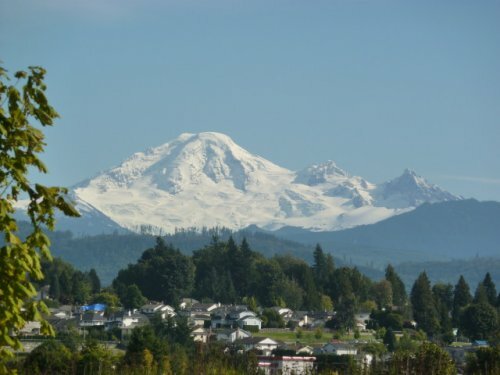 We have a wonderful view of Mt Baker from both the back deck and the front of the house. 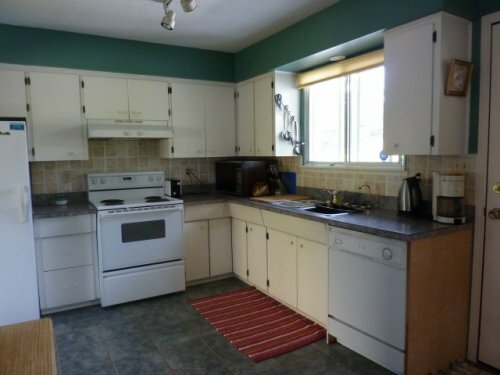 Fridge, oven, microwave, dishwasher, coffee maker, toaster, etc. Open area off kitchen and lounge with table and four chairs, extra chairs are available. 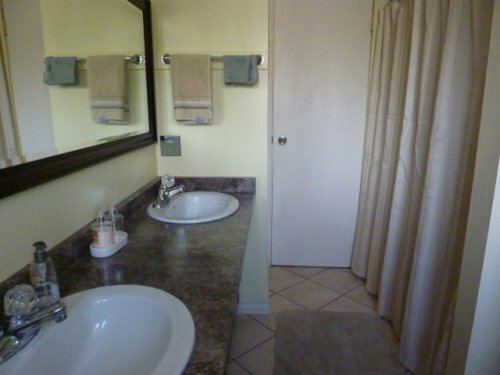 Toilet, bath/shower and double washbasins. Closet complete with towels and other storage. 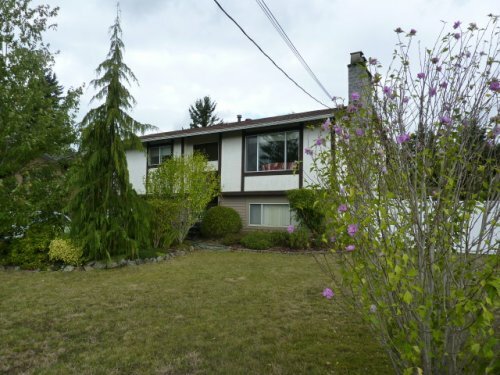 We are situated in the center of the Fraser Valley. Abbotsford is the “Berry Capital of Canada.” 5 minutes from the TransCanada Highway. 10 minutes from the USA border. We are 1 hour east of Vancouver. Park with tennis court half a block. Near bus stop. 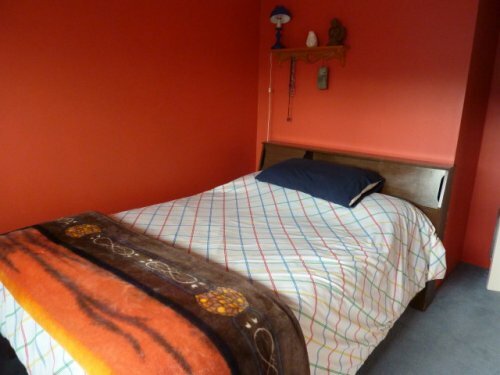 Walking distance to recreational center with swimming pool and ice skating rink. Near shopping centers. Native interpretation center nearby and hot springs half an hour away. We are retired teachers originally from Australia and we love to travel and learn about other cultures.